A while back I decided to give the Clone Wars animated series a try, and now as I finish off the second season, I can say that I’m glad I did. 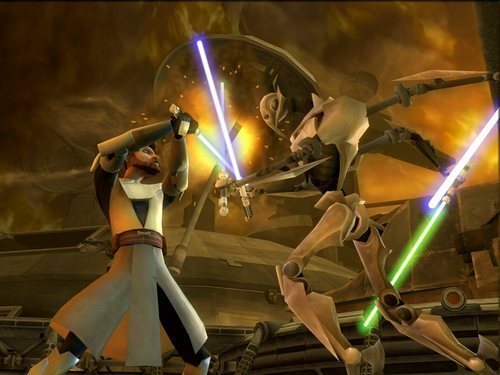 Sure, I’m not at all a fan of the prequels, but I am excited for the upcoming Rebels animated series – that will take place between episodes 3 and 4 – and one thing I can say about Clone Wars is that it really is much, MUCH better than the prequels. I love the look of it – a perfect balance of cartoony and realism (well, fantastic realism) – and the stories are exciting, with great action, and some interesting multi-episode arcs that get pretty juicy within the “world” of Star Wars. Looking forward to working my way through the rest of the seasons.